Sarah Tadlaoui from Premise Data discusses the partnership with the Municipal Public Health Department in Cali, Colombia, to improve monitoring and response to on-the-ground operations with increased timeliness, granularity and accuracy. This year marks the 100th anniversary of the Great Influenza, a historic pandemic that infected 500 million people around the world and claimed the lives of between 50 to 100 million. 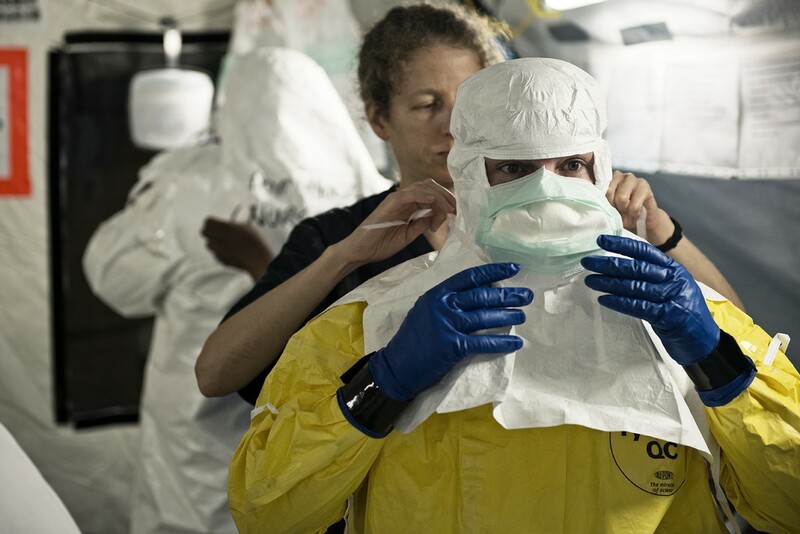 This devastating outbreak is the centerpiece of the Smithsonian National Museum of Natural History’s upcoming exhibition “Outbreaks: Epidemics in a Connected World.” The exhibit, which begins in May, will also explore modern day epidemics and emerging infectious diseases like SARS, HIV, Ebola and Zika. Infectious diseases do not respect national borders, and the failure to contain an outbreak in one country has the potential to jeopardize the health security of the entire world. In 2014, the Ebola epidemic in West Africa killed more than 10,000 people and incited fear of global contagion. The Zika outbreak began in 2015 in Brazil and has already affected more than 40,000 people in the U.S. and its territories. Ebola, Zika and regional diseases like yellow fever and cholera demonstrate the need for new and improved tools to fight infectious disease epidemics. Today, some of the best problem solvers from around the world are collaborating with USAID to develop and test novel technologies and approaches that will help us tackle some of the most pressing global health challenges, including the prevention of and response to infectious disease outbreaks. Through Grand Challenges for Development, USAID has engaged innovators, universities and the private sector to deliver simple, low-cost and scalable solutions to address critical challenges in global health. USAID, in collaboration with partners, has cultivated a pipeline of 150 innovations and supported their implementation — from improved maternal and newborn health to enhanced outbreak response to diseases like Ebola and Zika to strengthened health supply chains. Recently, we sat down with infectious disease experts and innovators from our Fighting Ebola and Combating Zika and Future Threats Grand Challenges to discuss lessons learned from responding to previous disease outbreaks and the role that innovation can play in changing the trajectory of future outbreaks. In episode one, “The Race to Preparedness,” leading infectious disease experts provide the broader context around current efforts in the prevention of and response to infectious disease outbreaks, with a particular focus on the recent Ebola and Zika outbreaks. In addition, we learn about how USAID and its partners are collaborating to ensure continued progress in long-term prevention and response. The second episode, “Unexpected Paths to Innovation,” features three Grand Challenge innovators who are turning ideas into tangible solutions that can help save lives. One of the featured innovations is a low-cost, durable infusion monitor that clinicians around the world can use safely with minimal training. The product has become a product staple for ZMapp, the life-saving medication developed to treat Ebola patients, and it is also being used for outpatient chemotherapy in the United States. Another innovator utilized a local seamstress to help rapidly prototype new personal protective equipment (PPE) designs during a hackathon. After further development and testing, the final PPE design was licensed to Dupont, one of the largest PPE manufacturers, for manufacturing and distribution. The final episode, “Fighting Outbreaks with Technology,” highlights how technological solutions are being employed in this battle. One of these solutions is a mobile-based data and analytics platform that transforms data on mosquito breeding habitats into heat maps in order to ensure efficient and effective targeting of mosquito control interventions. Another innovator developed a two-way communication platform so that frontline health care workers and their ministries of health could communicate with one another during the midst of the Ebola epidemic in West Africa. To learn more about what USAID and our partners are doing to protect us from deadly infectious disease outbreaks, listen to the full series and visit the upcoming Smithsonian exhibition “Outbreaks: Epidemics in a Connected World” at the Museum of Natural History in May 2018. About the Author: Avery Waite is a program analyst for the Center for Accelerating Innovation and Impact in USAID’s Bureau for Global Health. Editor's Note: This entry is adapted from a story that originally appeared in USAID's 2030: Ending Extreme Poverty in This Generation publication on Medium.